BR-C707S is not only a baby tricycle,but also a baby walker.baby could sit on it and use it for a baby walker,when the pedals are removed. 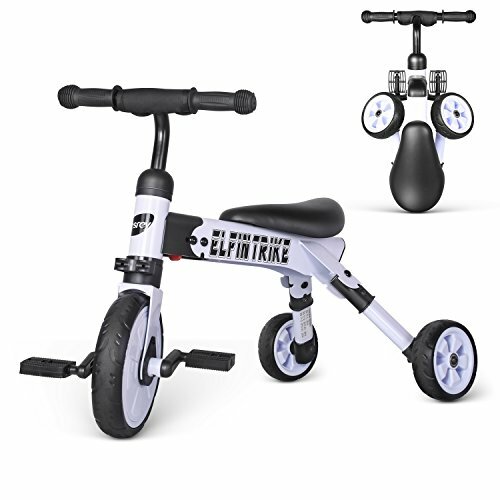 when children are capable of riding independently, it can turn into a tricycle by putting on the pedals.It's also very handy to take along with 3 step to complete the fold.It weights only .7.7lbs And the size of fold is 11.8 & 12 & 20.7 (inch).it's very easy to put BR-C707S to your car. If you have any questions about this product by besrey, contact us by completing and submitting the form below. If you are looking for a specif part number, please include it with your message.